I noticed some loose skin under my chin this weekend. I kinda mentioned it to C, asking if he’d noticed, mostly hoping he hadn’t. 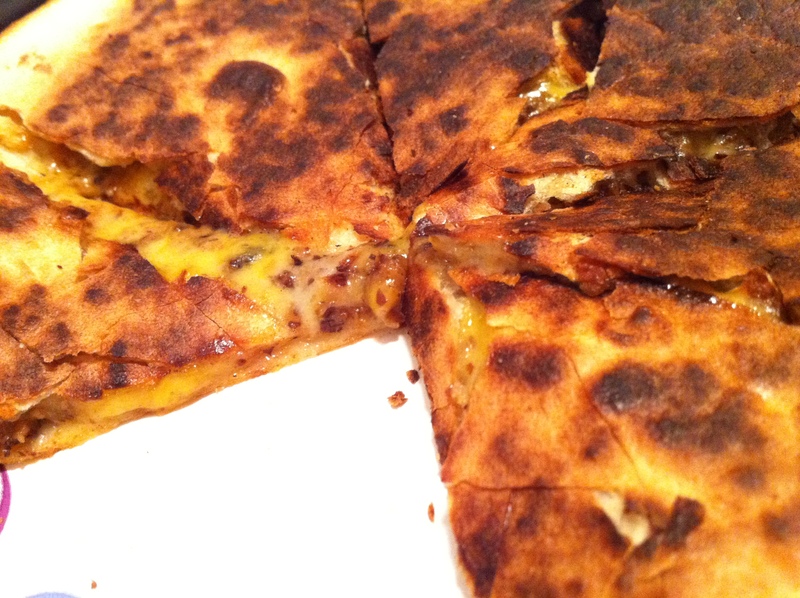 For dinner tonight we had Black Bean Burger Quesadillas with Marbled Cheddar Cheese…and we didn’t have dessert. 2 Tortillas **I used flour. 1/3 cup Marbled Cheddar Cheese, shredded and divided **Feel free to use whatever cheese you have on hand. 1/3 cup leftover Black Bean Burger **I had 3 leftover black bean burgers that I crumbled in a bowl. I used a handful per quesadilla. 1- Heat a non-stick or griddle pan over medium heat. Place a tortilla on the pan and let it warm (about :30). 2- Put 1/2 of the cheese on the tortilla and let it start melting. 3- Put the crumbled bean burger on the cheese and then top by the other 1/2 of the cheese. Let it warm about a minute or two, then top with a second tortilla. 4- Flip and let brown for a minute or two. 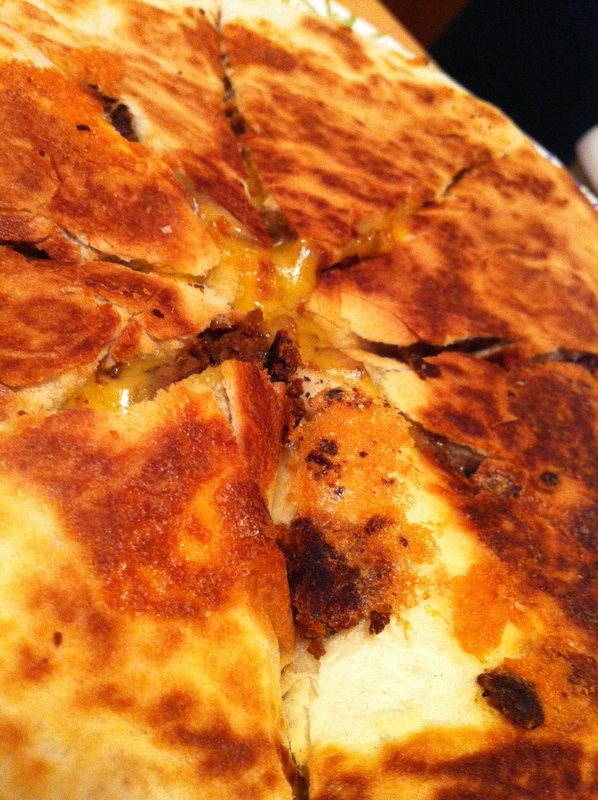 5- Use a pizza cutter or a sharp knife to cut the quesadilla in 8ths. Serve with guacamole, sour cream and salsa. End Results: Both C & I liked these. J ate a couple of pieces and R demanded Yogurt for dinner.